Upload the images in reverse order so they fill the space properly. Of course, to make a PinBoard have this effect, but still contain cool images too, just add your “Pin Slice” last, and it will be like the cover of an album. Ps. Do me a favor and pin this to Pinterest for me. Gracias! 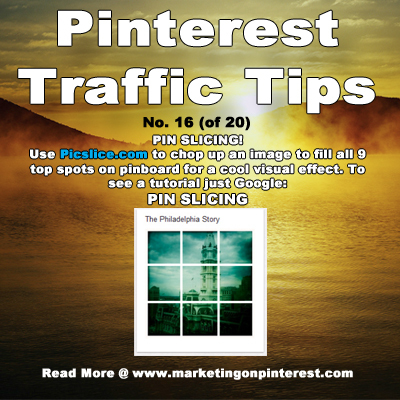 ‹ Pinterest Monitoring & Analysis Tool – Pinclout!